What could be more quintessential to Southern cooking than the almighty biscuit? They can come in every shape from tall and flaky to tender and crumbly, and everything in between. 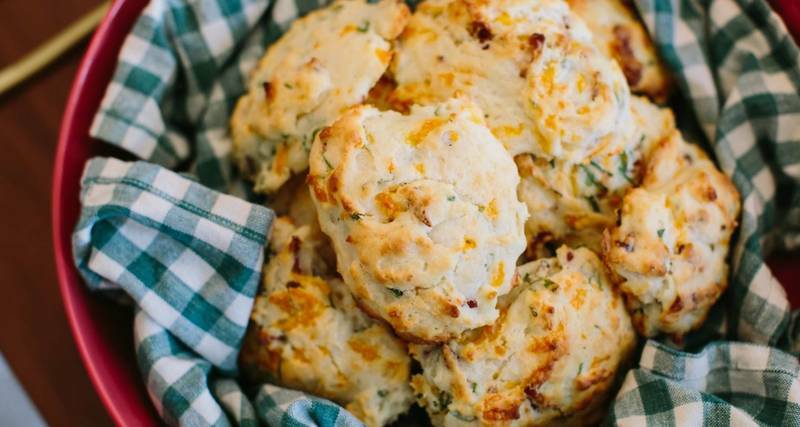 Loaded with herbs, filled with savory country ham, or good old fashioned buttermilk — any way a biscuit is made, we'll surely scarf it down. Here are 11 of our favorites. If you decide you want to choose between two very delicious buttermilk biscuit recipes, we've developed our own. 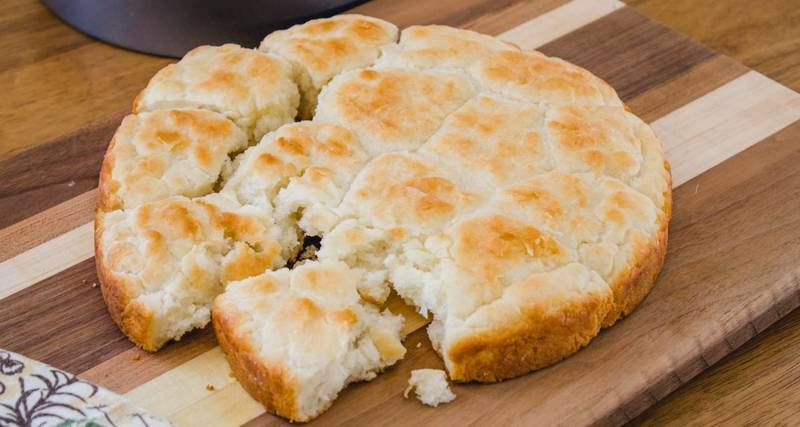 This take on a Southern classic will certainly deliver on the the height as well as the flaky layers we've all come to associate with a good biscuit. The best part is you likely have all the ingredients you need in your home already. Named for their extra-large size, cathead biscuits are said to be, well, as big as a cat's head. 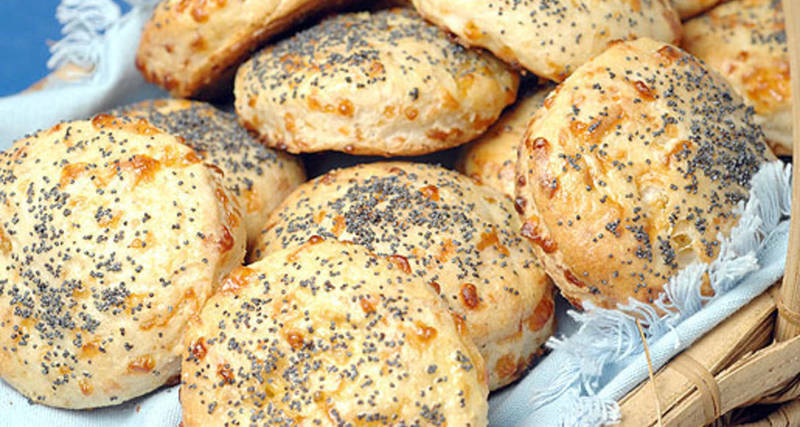 Unlike the layered, flaky biscuits above, cathead biscuits are pillowy and fluffy. While they don't have distinct layering, they've got tender crumb in spades and require even less work than a rolled flaky biscuit. Make these ultra-quick breads when you're craving a hearty breakfast sandwich or smothered in some homemade sausage gravy. 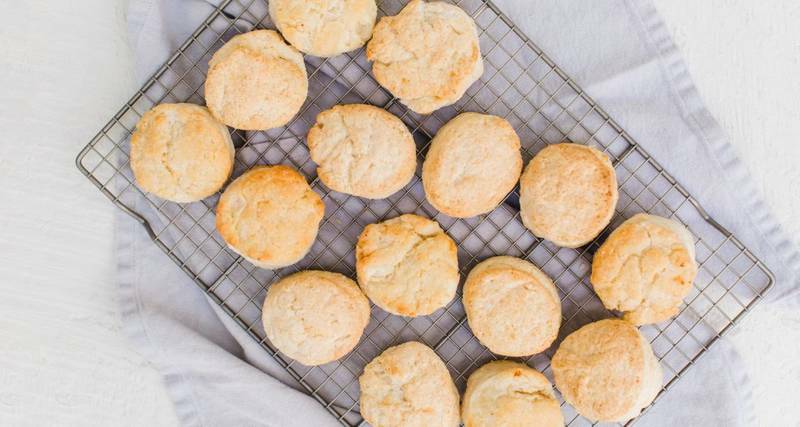 These easy as can be biscuits will be your go-to brunch item for your next weekend spread. 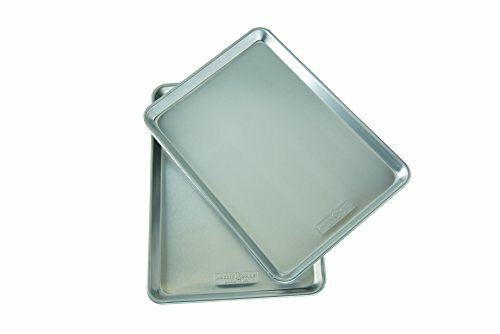 Simply roll and cut the biscuits the night before and assemble on a cookie sheet and cover tightly with plastic wrap. The next morning, remove the wrap, brush the biscuits with the egg wash, and bake to golden biscuit perfection. Serve with some sweet Apple Cider-Bourbon Jelly. 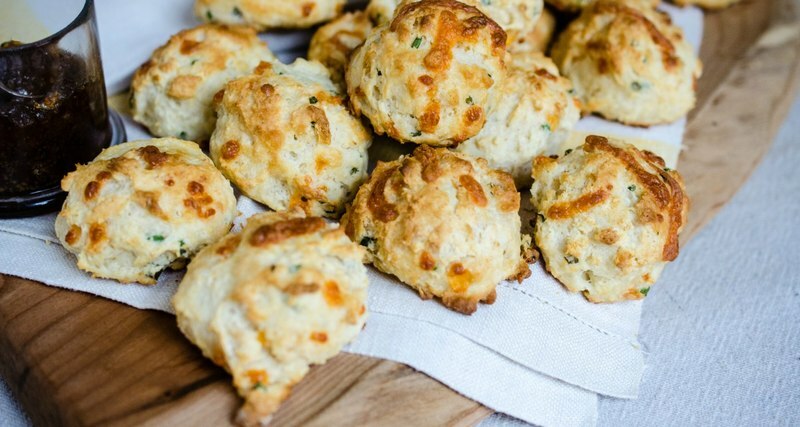 Drop biscuits are the no-fuss key to biscuit heaven without worrying about overworking the dough or doing any complicated steps, and this recipe gets a nice kick of flavor thanks to some fragrant herbs and sharp cheddar cheese. 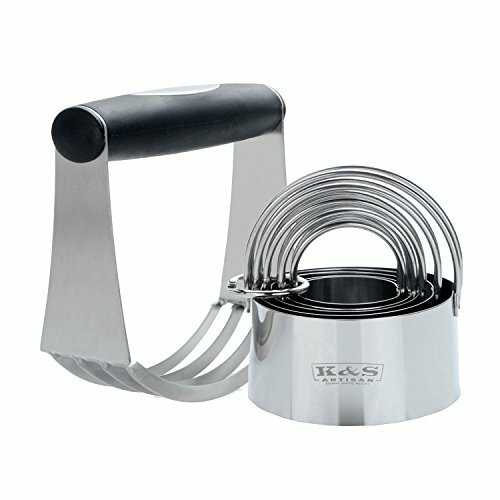 Up your drop biscuit game by use a small ice cream scoop for dividing your dough for perfectly portioned biscuits every time. 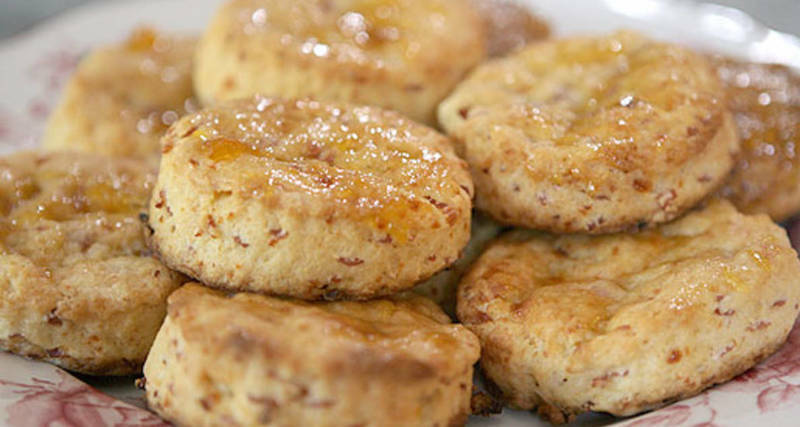 Looking for a biscuit recipe you can make even before you've had your morning coffee? 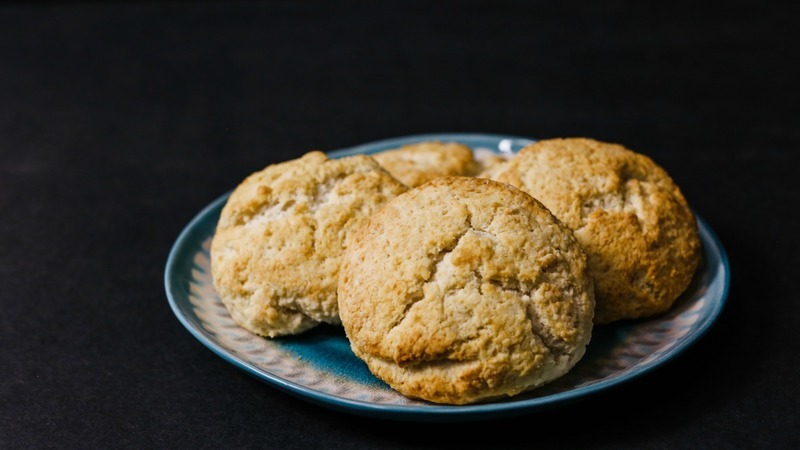 The flour mixture for these cream biscuits can be made far in advance and then just mixed up with a bit of butter and cream when you're ready to serve. Because there's no buttermilk involved, the sweet cream of the butter really stands out. Serve them sans toppings for best results. Sweet and savory, this twist on a classic biscuit recipe celebrates a flavor match made in heaven: ham and peaches. With a healthy slather of warmed peach preserves, this makes for a satisfying nosh or a light and flaky mid-day lunch. Quick and easy to prepare, these drop biscuits benefit greatly from the addition of bacon and cheddar cheese to the dough. Take extra care not to overwork the dough, so that they do not become tough. 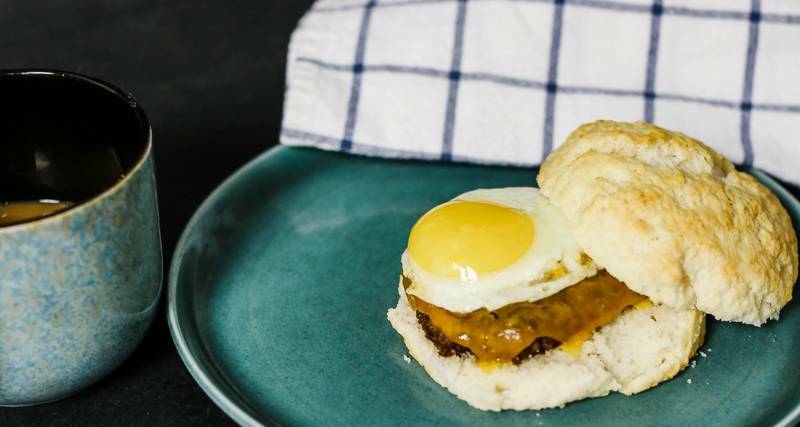 Perhaps one of the best ways to use a good Southern biscuit is in a breakfast sandwich. For this recipe, keeping your fat and liquid, as well as your equipment, cold will ensure a fluffier biscuit with a greater rise. 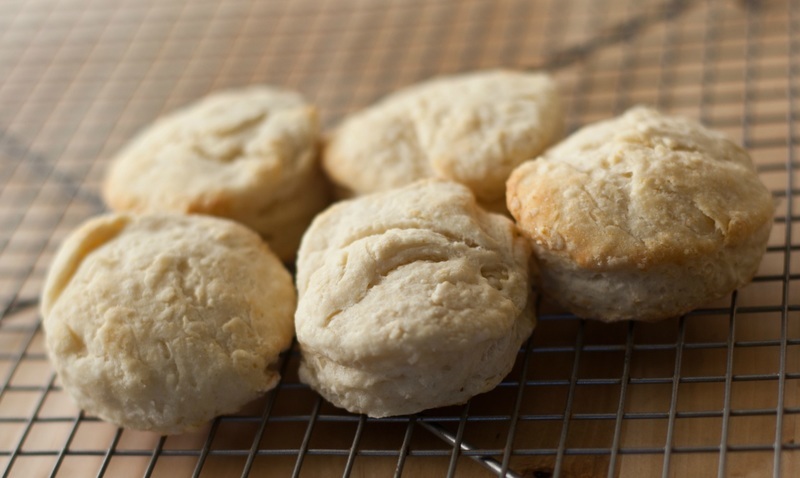 Use full-fat buttermilk for a richer biscuit, as well. 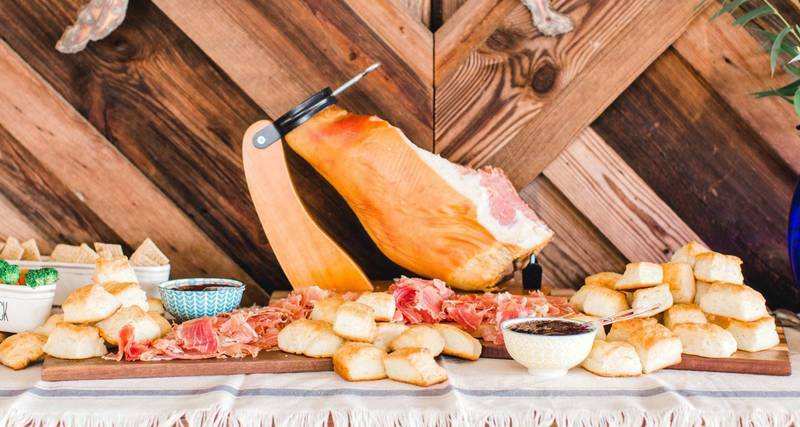 Whether you serve them in a grand fashion, complete with a whole country ham, or assembled on a rustic cutting board, country ham and biscuit sandwiches are perfect party food. We like to serve ours with at least a couple of choices of jams and jellies to counter the salty ham and rich biscuits.